Springtime means planting, and a garden soil delivery from The Dirt Bag is just what Mother Nature ordered! Now that warm weather is returning to northern Utah, you’re probably anxious to get your flower beds, planter boxes and gardens ready for action. To give your plants the best growing environment this year, you’ll need soil amendments and mulch too! Our exclusive Garden Soil Plus mixture is blended specifically to handle the challenging local climate and soil conditions. Dark and rich, Garden Soil Plus is 100 percent organic and teeming with the beneficial microbes that encourage healthy plant growth. With no added chemicals, it’s ready for planting when it arrives on your doorstep. Simply fill your pots and planter boxes, and start planting. Garden Soil Plus also contains perlite and other elements that improve its drainage, providing roots the best opportunity to stretch out and grow all summer long. For large gardens and flower bed, you can transform our challenging native soils by adding The Dirt Bag’s Garden Prep Soil Conditioner. Even a single season of gardening can deplete the already-poor Utah soil of any remaining nutrients. Fortunately, our exclusive soil conditioner can transform your sad dirt into rich, happy and friendly dirt that your plants will love. Highly concentrated, you need only mix in one inch of our Garden Prep mixture to every four inches of your soil, and watch the magic happen. The Dirt Bag’s Garden Soil Prep Conditioner breaks down heavy soils, boosts the organic nutrient level, and improves healthy water retention. As a result, you’ll need fewer pesticides and fertilizers to grow a vibrant, healthy garden this year. Mulch is truly a multi-tasker in the garden. Once you’ve taken your garden soil delivery and added healthy soil amendments, your plants’ roots will find all the nutrients they need. But don’t forget to protect them from the elements and potential predators. By topping off your garden and flower beds with mulch, you add a protective blanket of healthy goodness. Mulch helps the soil hold precious moisture, even in the face of brutal sun and wind. The plants will stay moist, so you’ll need to water less. And that means saving precious water and the utility bills that go along with it. And, as a bonus, that protective layer of mulch will help discourage insects and vermin as well as weeds and other diseases. The Dirt Bag can deliver shredded bark mulch or dark mulch. Simply spread it around as a topdressing, ideally about three to four inches thick. You’ll love the rich, finished look it provides! Once you’ve done all the hard work, it will be time to relax and enjoy the fruits of your labor – literally as well as metaphorically. In northern Utah, The Dirt Bag has everything you need to grow the most beautiful flowers as well as delicious fruits and vegetables, right in your own back yard. From our West Jordan, Utah, facility, we will deliver our products to your door. All of our bagged products come pre-packaged in our heavy duty one-cubic-yard bags, for easy handling and transport. 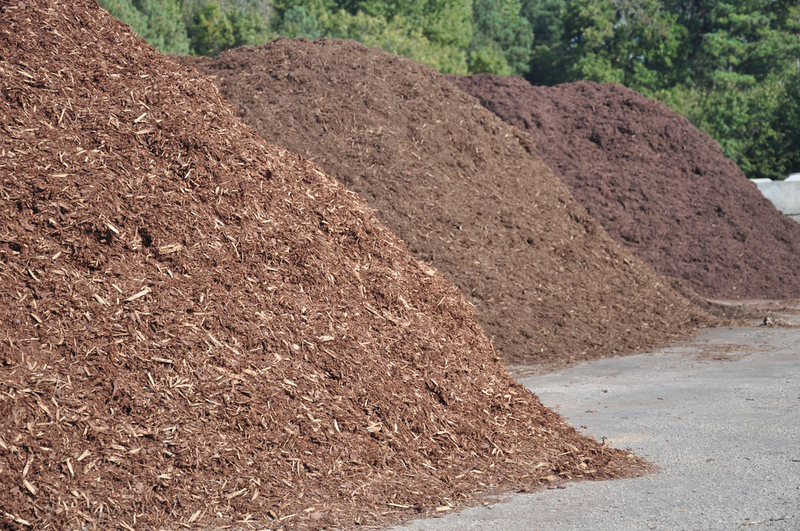 Contact us today to schedule your mulch, compost and garden soil delivery.